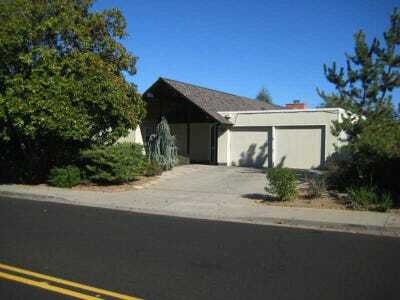 MLS ListingsA $US1.5 million home in Sunnyvale, California. Google CEO Larry Page thinks houses in Silicon Valley are needlessly expensive. He believes million dollar homes should be going for $US50,000. There isn’t a further explanation, so we’re not exactly sure what he means. But, if Page thinks that all it takes is changes in policy to free up development to create more housing units to drive down prices, we disagree. New York City and its surrounding areas are just about as developed as it gets. Houses in the New York metro area nowhere close to $US50,000. Could policies free up more development to increase supply and thus lower prices? Sure. But the infrastructure — trains, highways, etc. — in the New York metro area barely supports all the people that live in it. If there were more people it would be a disaster. And then, there’s other problems with $US50,000 homes. It costs more than $US50,000 to construct the homes. People that have already paid $US1 million for their homes aren’t going to allow $US50,000 to exist since it would wipe out the value of one of their biggest investments.